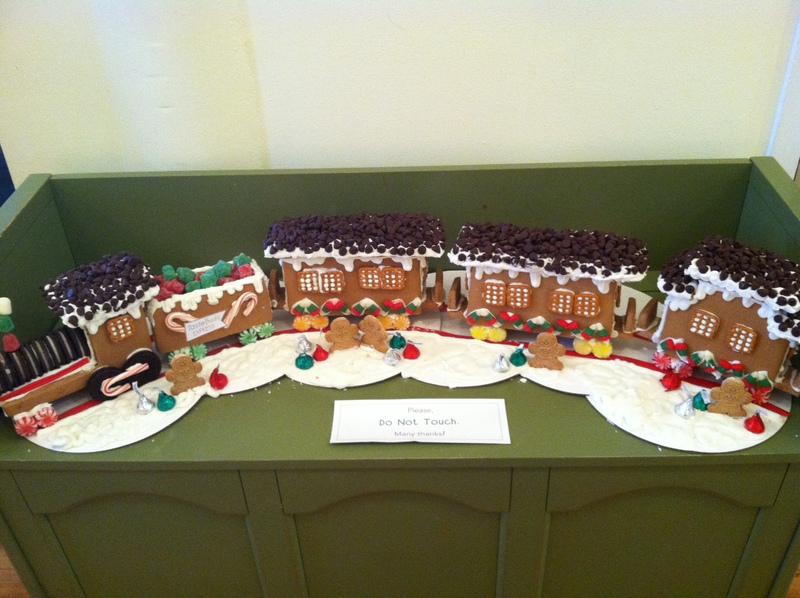 This weekend I helped my friend Jessi with one of her amazing Gingerbread House parties at Taste Buds. I have been so busy the past few months that I haven’t done a taste Buds event for a while – it was good to get back in the apron! 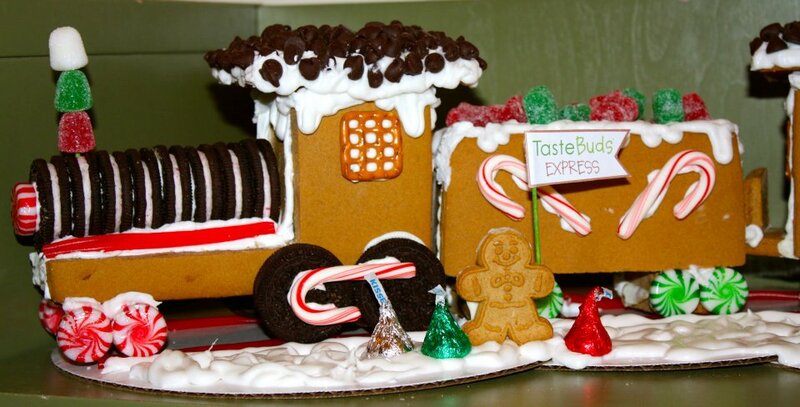 A gingerbread train, complete with a coal car transporting “supplies” (aka gummy stars)! Needless to say I was immediately impressed. 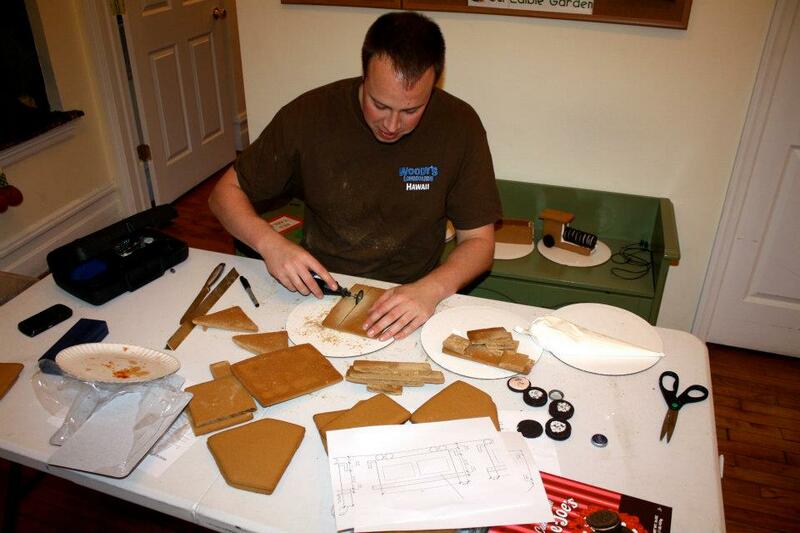 But when I learned that this was made from scratch, not using a kit, I was blow away. Who was the brilliant creator of this unbelievable display??? I soon learned it was the latest Taste Bud addition, Jeff. Typically, Jessi hires folks who either have educational experience (teachers) or culinary expertise (culinary students). But this time, she went with someone who brings a whole new skill set to the kitchen, an architect. And needless to say, Jeff is certainly proving himself. Oh, did I mention that Jeff is Jessi’s new boyfriend? Great work Jessi – I definitely think “what can you add to the Taste Bud kitchen?” should be the first question you ask on first dates. Looks like you found a keeper! What a hunk! :) Great post Molls!